Change the way servicers are paid. Under rules set by government guarantors such as Fannie Mae, Freddie Mac and the FHA, servicers receive a piece of each monthly interest payment. The income more than covers their expenses in good times, but disappears when loans go delinquent. A better approach would more closely match fees to servicers’ costs — for example, by requiring them to build reserves against delinquencies and providing incentives to reach successful modification agreements. 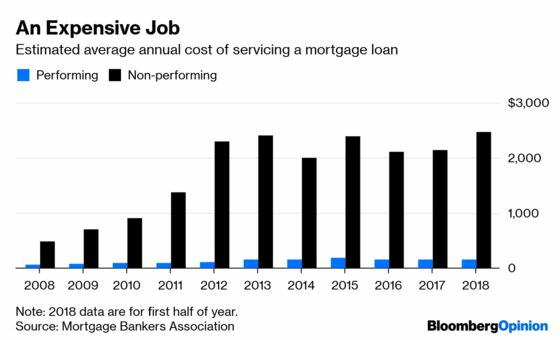 Such a system would have an added advantage: The value of mortgage-servicing rights would become less volatile, because income would move more in sync with costs. This would relieve some of the stress on servicers in crisis times, and might encourage traditional banks to return to the market. Fix the FHA’s penalty system. The FHA’s requirements for initiating foreclosures and selling the related properties can be impossible to meet, particularly in states that require judges to get involved in the process. Fannie Mae and Freddie Mac have adjusted their timelines to better reflect reality. The FHA should do the same — and also consider allowing servicers to deliver foreclosed homes as is, to avoid time-consuming back-and-forth over the cost and quality of renovations. Give servicers the power to make modifications that work. Under FHA and Veterans’ Administration rules, borrowers can’t keep their original interest rate when they modify a loan. So if rates are relatively high, it’s harder to achieve a payment reduction that would make the loan affordable. 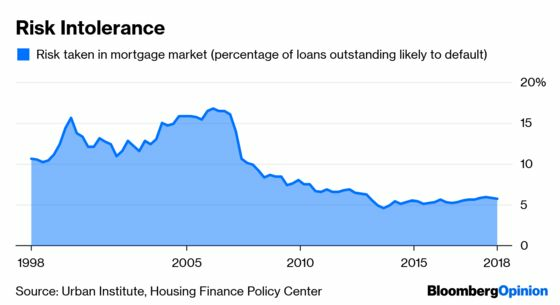 This leaves borrowers more likely to re-default or go straight into foreclosure, further increasing costs and aggravating lenders’ losses. The remedy is simple: Give servicers more leeway to reduce payments without triggering an interest-rate reset, as Fannie Mae and Freddie Mac already do. Standardize data. Different servicers have different ways of recording and tracking all the information associated with a mortgage loan. This makes transferring servicing from one company to another extremely difficult and error-prone, weakening the system and creating costs that end up reflected in higher interest rates for borrowers. If the two largest government guarantors, Fannie Mae and Freddie Mac, insisted upon uniform data standards, the rest of the industry would follow suit. To spread out the cost of compliance, the standards could initially be applied to a core of crucial data, then expanded.